Last week, writer/director Kevin Smith announced that he will once again be taking a trip back to the well by reviving two of the most beloved stoners to ever grace the screen: Jay and Silent Bob. The loud mouth drug dealer and his soft-spoken companion were originally written as throw-away supporting characters for Smith’s debut film, Clerks. When the two proved to be popular during Clerks’ run at the Sundance Film Festival, Smith retained the rights to the two characters when he sold the film to Miramax. Since then, the dynamic duo have popped up in Mallrats, Chasing Amy, Dogma, and even starred in their own feature in 2001, Jay and Silent Bob Strike Back, all written and directed by Smith. Strike Back was meant to serve as the final film in Smith’s “View Askewniverse”, however after the disappointing reception of his 2004 film Jersey Girl, Smith resurrected the characters one more time with Clerks II. While the characters were reduced back to their original supporting role purpose, audiences welcomed them back with open arms and Clerks II went on to gross nearly five times its budget of $5 million. After closing the book on the View Askewniverse in 2006, Smith’s film career took an odd, but nevertheless interesting turn with directing two star-studded comedy flops, a horror film that plays more like an action blockbuster, a film in which a man is surgically transformed into a walrus, and finally, a film about two teenage girls that have to take down one-foot tall Canadian Nazis made of bratwurst. While each of these films may not have brought tremendous numbers at the box office, each has begun to develop their own cult following (except for maybe Cop Out), further proving that Smith still has a following to this day in Hollywood. Why return to the Askewniverse now after spending more than a decade away from it? What purpose would it serve? Will Jay and Silent Bob still be funny after all these years? To answer these questions, one must be aware that Smith had written a script for a third Clerks film nearly five years ago. Smith has been clamoring for this, and a sequel television series to Mallrats to get produced for some time now. Unfortunately Clerks III is no longer in the pipeline due to one of the leads dropping out, and Mallrats: The Series has yet to be picked up by a network. In response to this, Smith has decided to return to the View Askewniverse with the tentatively titled “Jay and Silent Bob Reboot”, a sequel of sorts to “Strike Back”. In a plot similar to the first Jay and Bob film, the film is set to explore our heroes’ quest to stop the production of a “Bluntman and Chronic” Reboot titled “Bluntman v Chronic”, a parody of last year’s poorly received Batman v Superman: Dawn of Justice. The film is set to include various cameos throughout just as the first did and Smith promises it to be true fun for all fans of his work. Being an avid fan of Smith myself, I’m ecstatic that we get to revisit these characters again, and with Miramax involved I’m sure it could prove to be a moderate box office success. 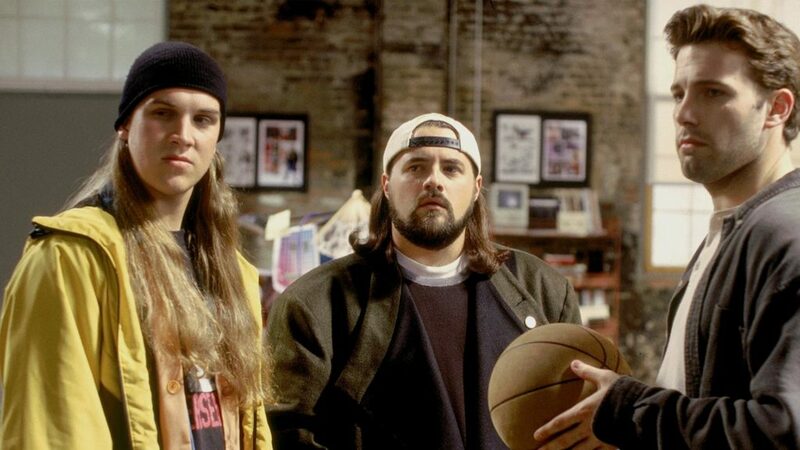 Production on “Jay and Silent Bob Reboot” is scheduled to begin this summer.